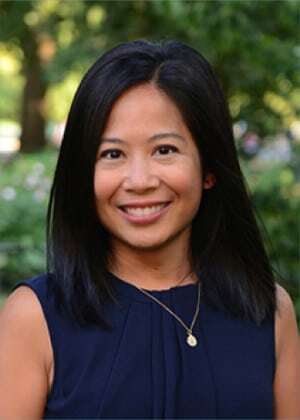 Dr. Jennifer R. Martin has been in practice since 2000 and has been with Central Park West Dentistry since 2004. Her main focus is to provide her patients with quality dentistry in a compassionate and comfortable manner. Her ability to establish genuine patient relationships is evident by her loyal following. She received her Doctorate in Dental Medicine from the University of Medicine and Dentistry of New Jersey in 2000. During her four years there, she conducted an independent study on patient compliance and post-operative therapy. She went on to present her research at the International Association of Dental Research and the Greater New York Dental Meeting. In 2001, she completed a residency at Robert Wood Johnson University Hospital providing comprehensive care to patients with special needs. She remains committed to community service and has served on the Advisory Board of the non-profit organization, The Women’s Venture Fund and on the Executive Board of her daughter’s nursery school. She lives with her family in Brooklyn and in her spare time can be found practicing yoga, baking elaborate cakes and reading historical fiction. A: I want people to feel comfortable, listened to, and confident that they are in good hands. A: A lot of dental conditions are preventable by good at home habits and regular dental wellness visits.